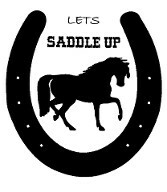 Lets Saddle Up relies on volunteers to assist riders and to maintain safety at all times. You don't need to have experiemce with horses, because we will train you! You must be at least 14 years of age. It helps you and the rider if you can commit to one lesson per week. Often we are asked about riding from a family member of a special needs person. 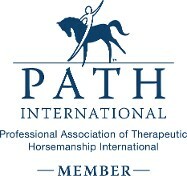 Once we explain about therapeutic riding, their response is, "Great! That is just what we were looking for." But, sometimes people just don't have the financial resources to pay for lessons. And, they may not qualify ofr county or state funds. For this reason we developed a rider scholarship program. We have 8 horses that are used for therapeutic riding or therapy. Each horse has needs and costs to maintain their health and fitness. We are always looking for sponsors for each horse. You can easily donate to our scholarships and horse sponsorships through Paypal (below) or by check. We are a 501(c)(3) non-profit organization. "Let's Saddle Up has created an accepting, safe and encouraging environment for my granddaughter. Having a mother who left the family my granddaughter had to deal with feelings of abandonment and especially guilt, thinking that it was her fault that her mother left. Her pediatrician was concerned about her "reclusive" behavior (she appeared painfully shy and was hesitant talking to adults). He classified her as "depressed" and suggesting that we involve her in an activity that would be physically challenging. Initially we enrolled her in gymnastics. We quickly saw a total shut-down as she refused to talk to her teacher. The doctor said he wanted to do a psychological evaluation and that she would possibly need medication. The evaluation was postponed and is no longer recommended because of what Let's Saddle Up has accomplished. When Let's Saddle Up was featured in the local newspaper, I was impressed that a child's needs could be addressed through horsemanship. Sharron Dillard (founder) was gracious to allow my granddaughter to participate in this program and the funds were received through a scholarship. By the morning of her second lesson, she ate breakfast with her riding helmet on—she LOVED her lessons, loved Miss Sharron and talked about the ‘super nice’ volunteers. Over the last two years, my granddaughter has blossomed under the care, patience, and instruction of Let's Saddle Up. Sharron, along with the loving volunteers have nurtured and loved my granddaughter. And yes, every lesson day, she wears her helmet during breakfast—it's tradition!"